Well, soon you will be spoilt for choice as Aston Martin release their DBS Superleggera aimed at taking on those that are in the market for the most powerful naturally aspirated Ferrari ever! Beneath the surface of the Superleggera, the 5.2-litre twin-turbocharged V12 develops 715bhp at 6,500rpm and 900Nm of torque. Coupled with a 70kg reduction in weight over the DB11, the DBS speeds from 0–62mph in 3.4sec and onto a top speed of 211mph. 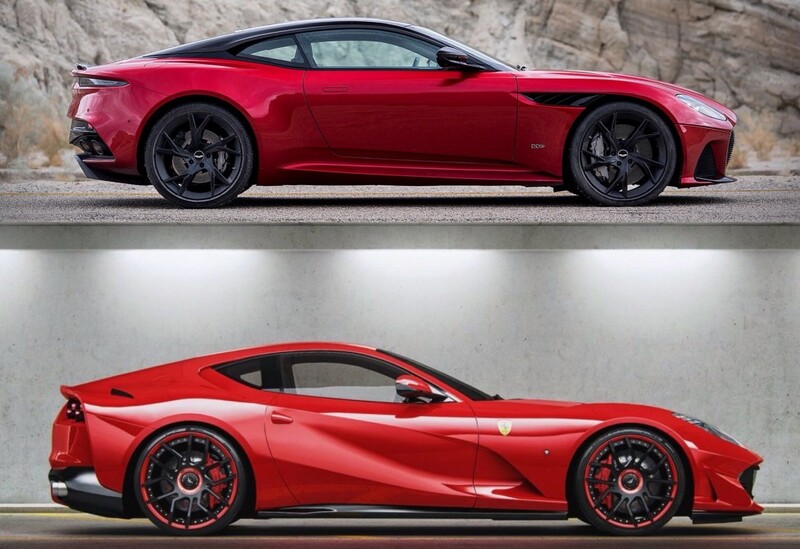 As for the 812 Superfast, the figures are equally as breathtaking: a 6.5-litre V12 naturally aspirated engine producing 789bhp and 718Nm of torque, a top speed of 211mph and a 0-62mph time quicker than you can read this sentence. It’s 2.9 seconds, by the way. Aerodynamics play an instrumental role in how the DBS Superleggera looks. The deep front splitter and air dam combine to accelerate the airflow under the front of the car and onto the rear to deliver a genuine 180kg downforce figure - the highest ever produced by a production Aston Martin. As for the Ferrari, It is monumentally fast, sounds absolutely out of this world, has a gear change – and, more to the point, a new shorter set of gear ratios – that will fray the outer edges of your imagination with its brilliance, and its chassis has mostly been improved to create a deeply seminal range of abilities – on both road and track. This may not have cleared much up but we're sure you'll enjoy having to make the choice!